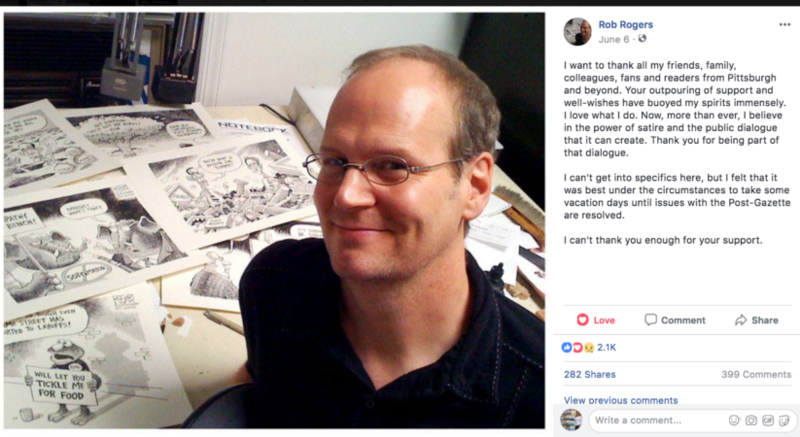 Like you, we have missed Rob Rogers’ cartoons in the Post-Gazette this past week and have been following social media, CNN and other coverage about his absence since three of his cartoons were recently censored by the P-G. So we were gratified to see this statement of support from the Association of American Editorial Cartoonists (in full). Let’s hear it for public forums. And also for Barbra Streisand, who posted on Facebook (see below). “The longtime cartoonist for The Pittsburgh Post-Gazette has gone missing. 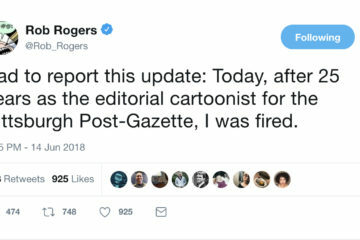 Actually, we know exactly where Rob Rogers is—at his desk creating the excellent award-winning editorial cartoons he is famous for. 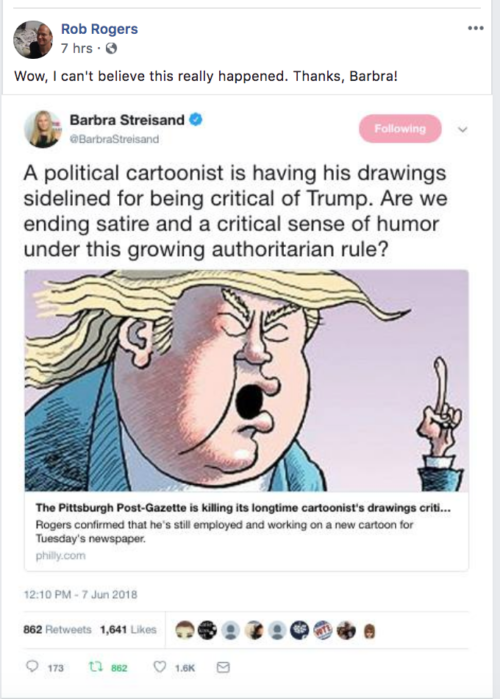 But it’s those cartoons that have been missing for over a week from the Post-Gazette editorial pages, though we know Rob is drawing them because new cartoons are being posted on the web.